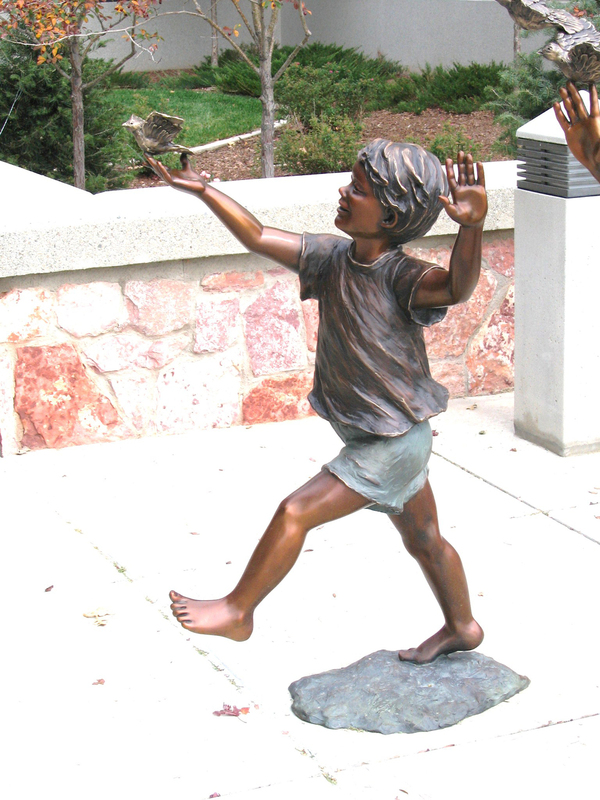 This life-sized boy, running with a bird depicts the joy and freedom of childhood. This is one figure of a group of three that can be purchased separately. It depicts the joy and freedom of childhood. 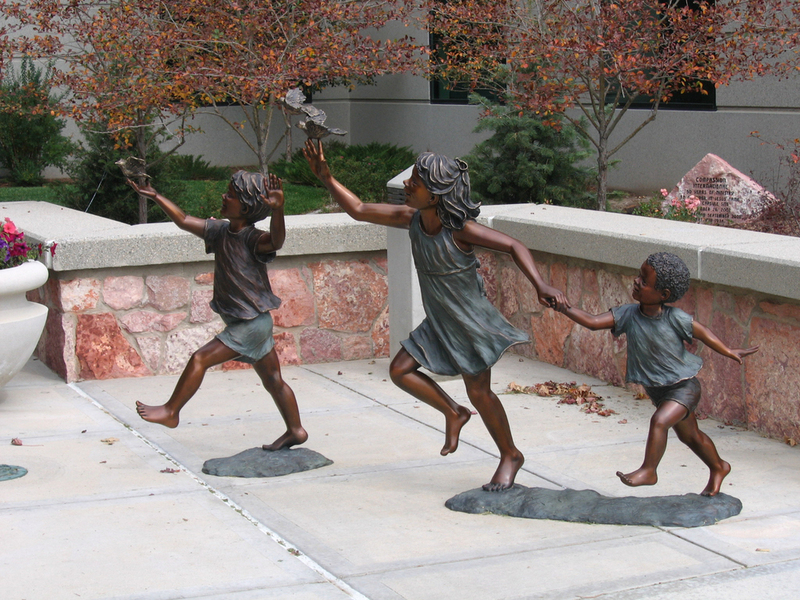 This sculpture is appropriate for pre-schools, schools, parks, and playgrounds.